Finally he put prayed to God who would surely know the answer. 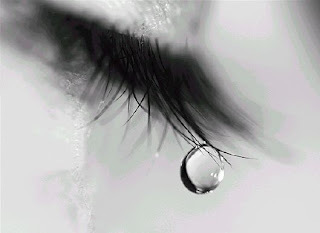 When God responded he asked, "God, why do women cry so easily?" God said: "When I made the woman she had to be made special. And lastly, I gave her a tear to shed. This is hers and only hers exclusively to use whenever she needs it. She needs no reason, no explanation, its hers." "You see my son," said God, "the beauty of a woman is not in the clothes she wears, the figure that she carries, or the way she combs her hair.The beauty of a woman must be seen in her eyes, because that is the doorway to her heart - the place where love resides."